People who live in crowded metro cities, there is a big problem to relocating from one house to another is the most stressful job. It’s hard for busy persons to taking time for shifting home. We think those companies give the best service, have technology standards, have work efficiency that choosing by consumers. By Market Survey– To market survey I mean shortlisting from best services companies in the market. This is the first step of the choose right packers and movers company. You also search on the internet about the best-reputed relocation companies. By Office Visit– After the market survey, you must visiting the office is the second most important part. I suggest it because you will know about the Packers and Movers company honor and their relationship. This visit gives you fair knowledge about the company. By Things In Written– The third and most important step, that make sure responsibility of the company to deliver your product. So always do everything in writing. By A Complete Analysis– Consumers wants to make a complete analysis company term & policies. Every company has different policies and working behavior. Check for someone the price and delivery time. To Set Your Priorities– Consumer needs to set your priorities that will be your decision-making moment. companies deal day and night for the customers. 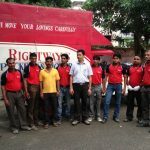 Rightways Packers and Movers provide Hassle Free Relocation services in both Domestic & International. Relocation is proficient enough to take care of every type of relocation like family shifting, company moving, commercial separation, global separation, pets and flowers relocation, local shifting, vehicle or car transportation etc. 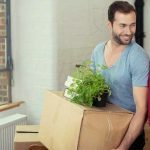 These tasks are very stressful and time-consuming for the busy person, so they need to the best relocation company to move their goods with full responsibility and care. There are many fraud Packers and Movers companies are working on the market. They have cheated customers and breaking trust between customers and other relocation companies. Customer needs to check these fraud companies before using services. Research about the Company: Every customer who dealing with an unknown relocation company, they need to know about company properly. You ought to check their official website briefly and their customer’s feedback section. Sometimes the people do fraud by agents, partners, and associates of the trusted company. So research about the Packers and Movers company before dealing. Avoid Paying Upfront: Top reputed companies never ask to do payments in cash and too whole amount in the beginning. So don’t give payment in cash, always pay money by cheque or online transfer. Irrational Low Quote: Don’t trap with a low quote of the company, these kinds of companies are the scammers who trap customers by quoting irrational low quote and then charge extra amount for every step on the name of hidden charges. Avoid hiring its types companies. Terms and Conditions: We have requested to customers read carefully Packers and Movers company terms and conditions before finalizing the deal. The terms and conditions give idea about the company is suitable or not. Don’t completely trust on the search engines: The customers need to search and open real company name because there are many fraud companies running with the same name with slighter changes. Also clearly check newspaper that case also fake paid advertisements similar to the real one. Make sure that the Company provides insurance claims for your goods: The best things to always know the customers before hiring a packers and movers company for relocation your goods. its need to because if anything happens to your valuable goods during the shifting and who is responsible for their loss. Always check there no third party involvement with your Dealing Company: Make sure there is no subcontractor or company when you relocated their goods because when their relocation completed, then they ask for hidden charges. Check the certification of the company: Before you hire a Relocation company check certification of registered with PF, ESIC, IBA, and Service Tax Department because there are many players working with their fraud companies in the market. Advertisement can be fake! Don’t trust every advertisement are showing on their newspapers and don’t trust paid advertisement over the internet. Always prefers organic search result. If you find the best Moving company, then you can contact us. How to Choose Right Packers and Movers Company?